Hey everyone! 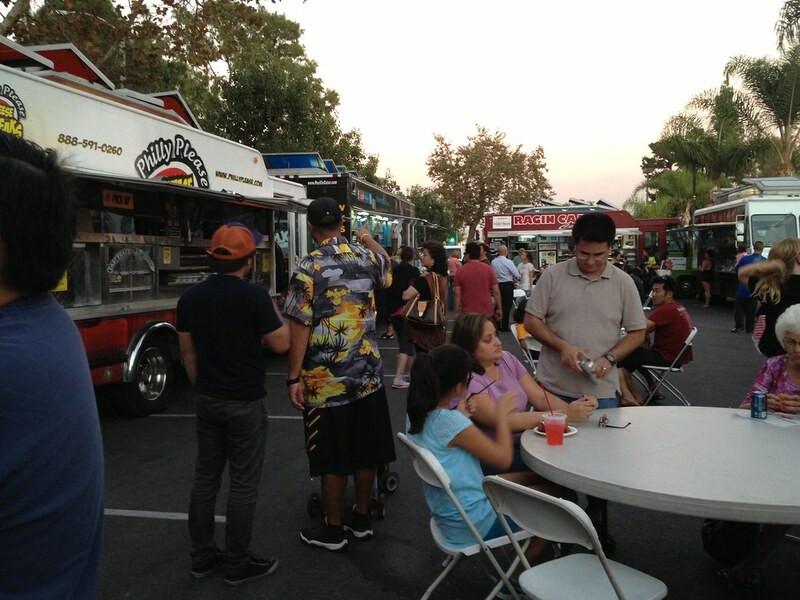 So this past week, on Wednesday, my brother and I decided to go check out a local food truck event that happened in my city. It was pretty close to our house, which is pretty cool. The food there was a little expensive, and since I didn't prepare for my brother to eat there we had to buy a bottle of water. Which was pretty cheap, compared to those vending machines. One dollar only, but the food there was pretty good. My brother had to get something from this truck below. I think he has a serious addiction to spam. There was a nice guy in front of the Ragin Cajun truck, and he gave us samples! 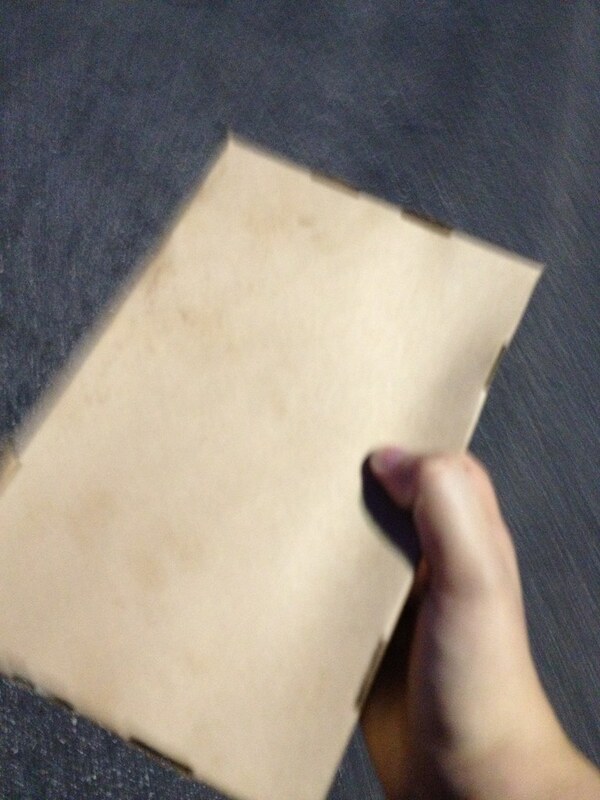 I bought a burger/sandwich from the Me So Hungry truck. It was pretty good. More pictures below of what I ate. 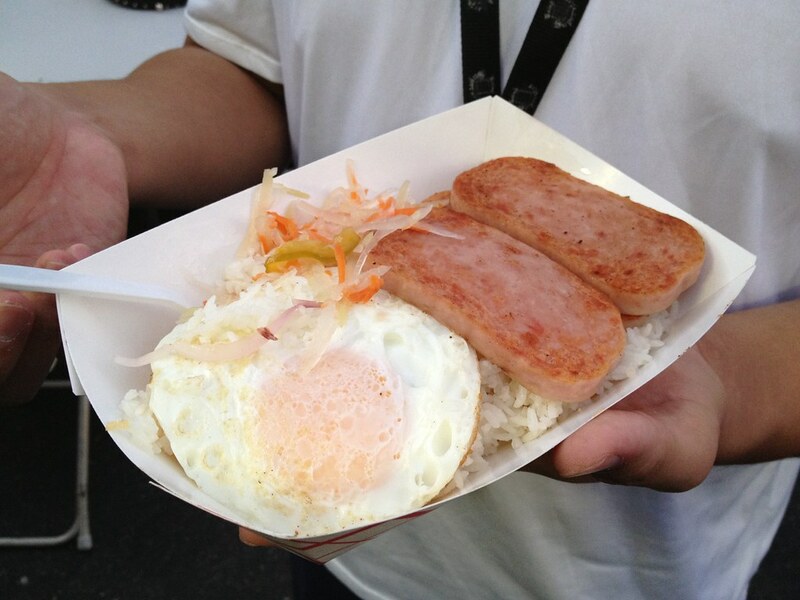 My brother's spam and egg, with pickled carrots, and radish. My box of food. I decided to take it home, because my brother said it was getting crowded there, which it was. My burger/sandwich. 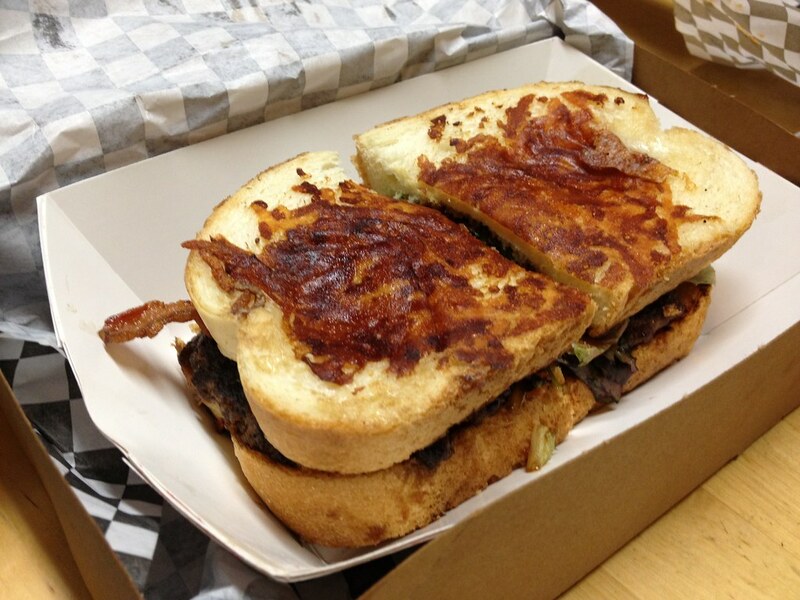 It has cheese on the bread, and it comes with onions, and a thick piece of meat! In the end my brother knew he wasn't going to be full, so we ordered some asada fries and took them home. But damn, these fries had a punch to them! They were super spicy! I think they topped the fries off with hot sauce. By the way if anyone wants to guest post on my blog in December please fill out this form! I would prefer if you blogged about beauty and/or fashion! 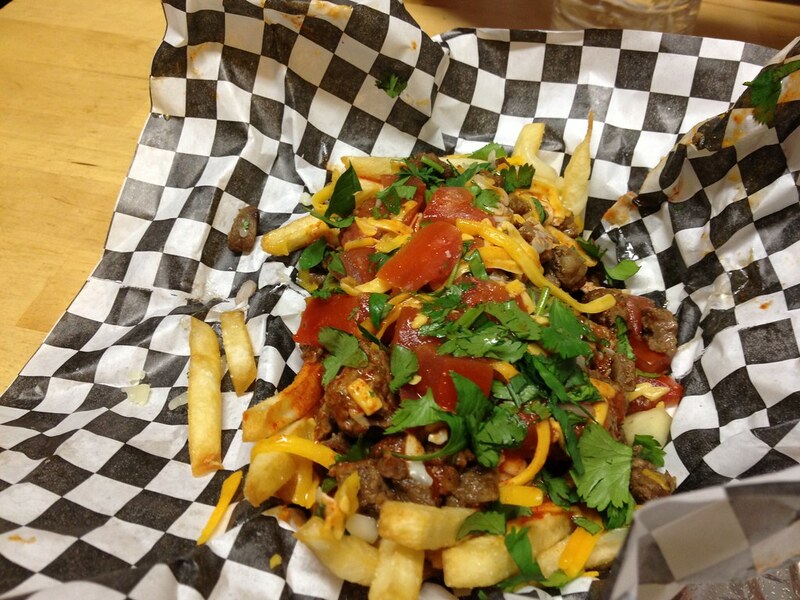 That last picture of the asada fries looks soo yummy! Yum! The burger sandwich you chose looks really good! 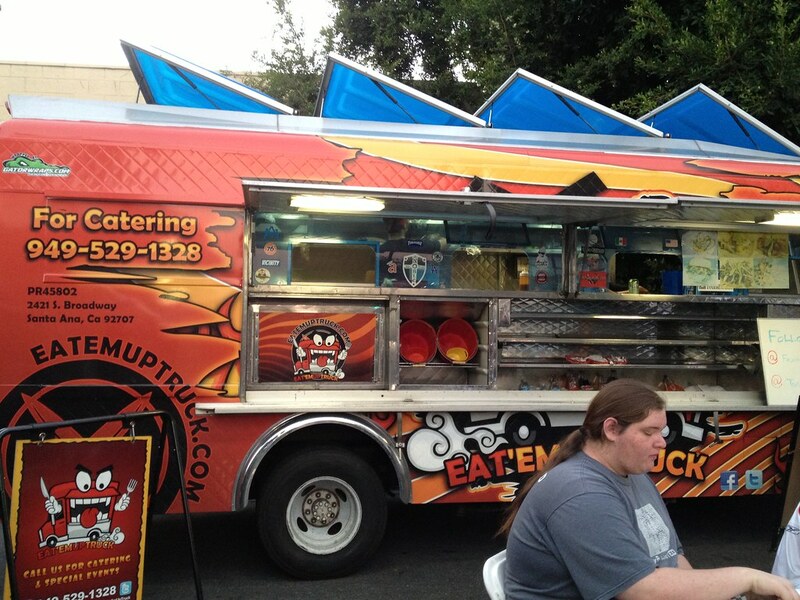 I'm from the suburbs so when I moved to the city I was really skeptic of food trucks but omg are they so good! 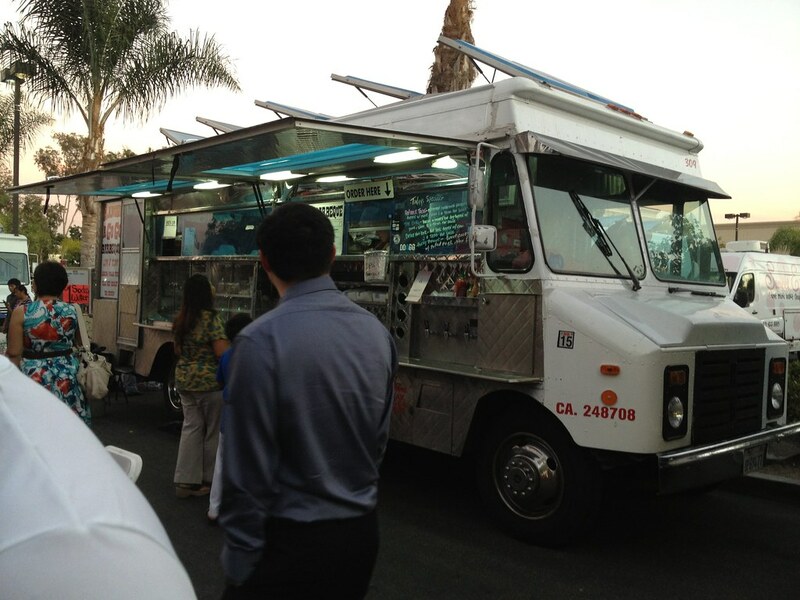 There is this taco truck in SF that is right outside best buy they have the best taco's I've ever had in my life! Wow this is so cool! I wish they had these where I live! Following from the blog hop! That looks like so much fun! And I feel you on the price, but it looks like there was such a wide variety of food that it would so worth it to go back every once in a while. Yes, I totally agree! It was crazy how packed it got afterwards. Haha, I agree! It can be pricey, and this was my first time. Holy moly!!! That kind of looks like something you would do once in a verrrrry long time. lol It looks super greasy. I giggle at your brothers spam! :P I found your blog via Monday Blues! Lol, my brother loves his spam! Haha, Following you! woah those food trucks are expensive! I go to a school in center city, so food trucks are a normal thing, something I eat from quite frequently. They're cheap where I go to college. I love the cookie truck the most. It's a shame that your trucks are so expensive. Hey there!!! Awesome blog here! We have tons of food trucks in dc and I've never visited any. This has inspired me to change that! :-) that sandwich you had looks amazing. 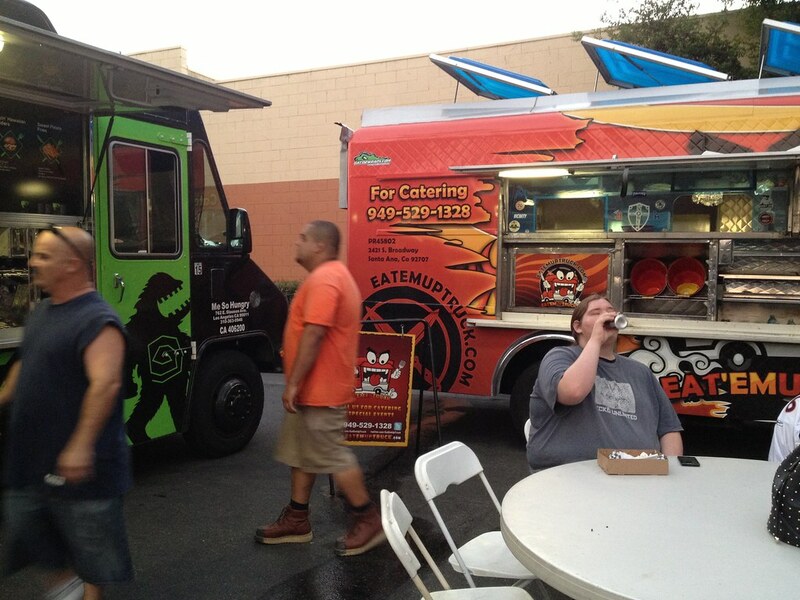 I love food truck meet ups! 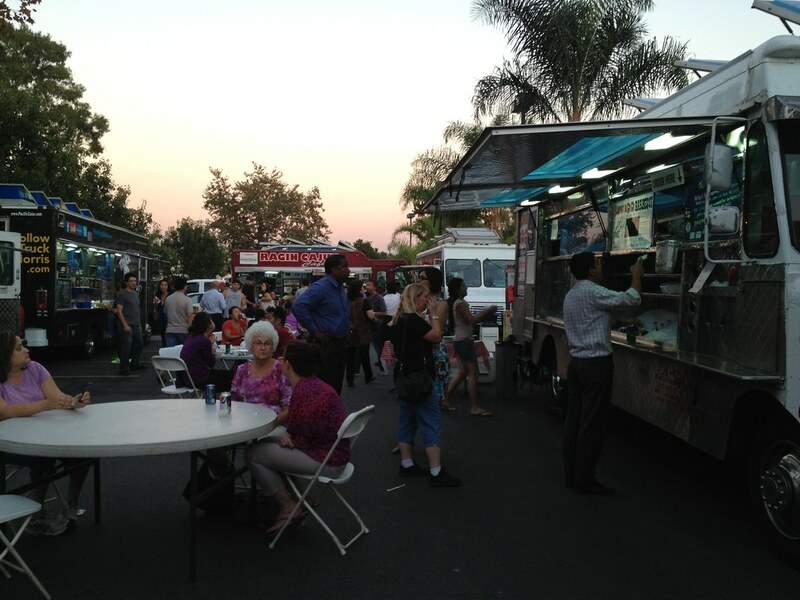 I wish San Diego had more of them because I know there are PLENTY of food trucks roaming this beautiful city. 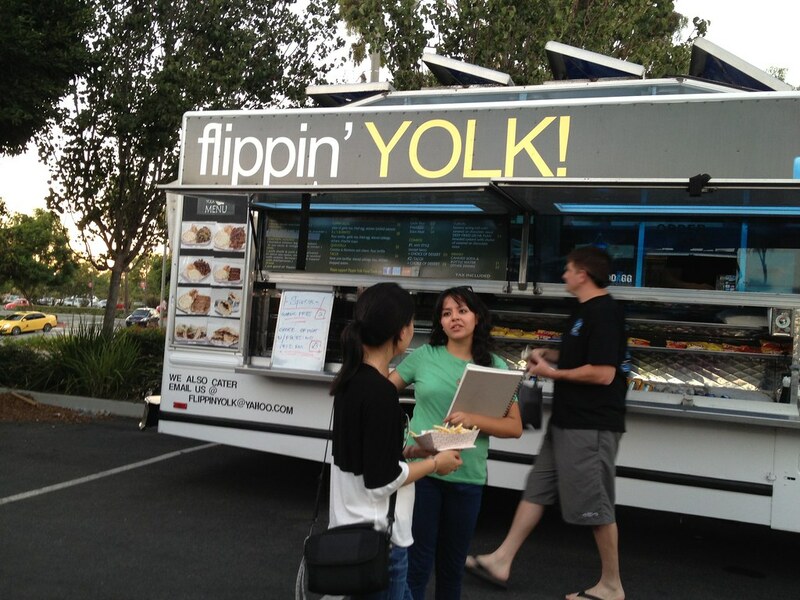 There's a Paleo food truck that is to die for. YUM!